This is really not a surprising thing—that online marketers and SEO consultants are aiming for the top spot on search engines. According to experts in online advertising, the ranking of a website on search engines like Google dictates how many people will go to that site from the search engine results pages (SERPS). Online marketers are now more and more basing the quality and content of their websites based on the above mentioned knowledge. How people search the internet and which sites they typically visit are important factors, which internet marketers consider carefully to a relevant extent. This is why many business people with sites online want to get the search engines’ top spot. How do they get the first spot? Well, there’s a talk about regular generation of content, links, involvement of social media sites, and all the stuff most often left to the experts. 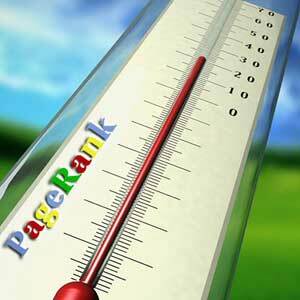 In fact, a lot of companies are earning money showing others how they can increase their sites’ rankings. Statistics indicate that the majority of people who go to the web to find information only look through the first page of search engine results. Maybe clickers don’t like to go past the initial page. Whatever! I think what makes the top spot most important is the fact that it’s quickly seen and trusted, and being immediately seen helps make a website sell. The principle is basically similar to that which explains why businesses are in the city—where there’s extreme levels of traffic, where there’s more people. Have you seen a boutique business in a cornfield? When Chitika Research conducted a survey, the results were nothing short of convincing. As everyone was expecting, the top spot, indeed, had more traffic—earning 34.35% of all the traffic. This is good news for all sites in the first spot of search engines. If your site is on number two, you most probably will receive about half the number of clicks the first one attracts. The amount of traffic significantly plummets as you go down the list. For instance, the tenth spot receives a little less than 3% of the total number of clicks while the number 20 site will most likely have nearly 0.3%. Most people only care to see what is on the first page of SERPs, and the majority of them only go to the first spot. The statistical analysis may be done again sometime in the future and on other sites but may, nevertheless, show similar trends. On this particular investigation something caught the attention of experts—that there is a 143% disparity between the #10’s and #11’s traffic volume. Note that #10 is on the first page while #11 is on the second SERP already. Internet searchers usually do not have much time to spend going through different results. This may not reflect the indulgence of people on the web, but it implies how much people value their time, that they cannot search endlessly for a certain subject, topic, information, or product up to the nth results page. For most people today, time is of an essential element that it cannot be devoted on doing a single activity, and if the first page of search results give them (or you) some relevant sites, then there seems no reason to check what’s on the second page in this scenario. This link provides more on search engines and their peculiarities. The results may also reflect how people view the relevance of the results on the first page and particularly the first two or five websites being displayed. People click on the pages because they think they are more credible and more significant to what they are actually searching—not because they know Google applied a manual dedicated sorting process on the sites according to relevance. Most people don’t know that—most people going online know nothing about SEO. You wouldn’t normally find someone clicking on the first item on the results page saying, “This one has the best optimization techniques so I’m clicking on it.” Most people click on number one because of the sheer connotation of what number one is.